Looking for natural ways for skin care and healthy living? 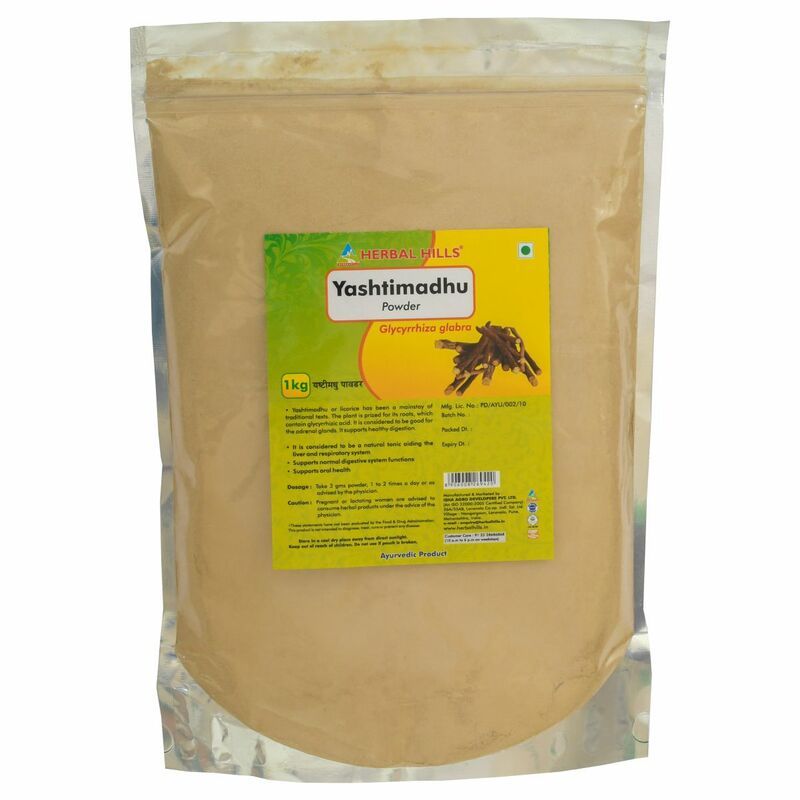 You should definitely try Yashtimadhu Powder. Licorice root benefits for skin and pulmonary system are well known. Its botanical name is Glycyrrhiza glabra. It has nutrients such as flavanone, biotin, sterols, tannins, vitamins, sucrose, iodine, saponins, niacin, isoflavones, potassium, resins and tannins. Due to rich constituents, Yashtimadhu may also exert adaptogenic, alexiteric, synergesic, alterant and sedative properties. Liquorice Powder for skin may help facial skin get healthy and appealing appearance. Since ancient times till today, powder of licorice holds promising medicinal applications. It may help to prevent acne, pigmentation, skin marks, scars and rashes, blemishes and dark spots. It may also protect from the skin damage from the sun. Yashtimadhu uses may also be in dermatological conditions and psoriasis. It may have positive effects on collagen so it may retain the moisture and keep the skin hydrated. Also, Licorice root benefits in respiratory systems as it may prevent disorders related to it. It may help relieve cough, bronchitis, sore throat, asthma and allergy. Moreover, this herbal supplement may also help in healthy digestion and may lower lipid levels. It may also help in ulcers, ulcerative colitis, and joint pain and may help regulate blood sugar levels. Herbal Hills produces Yashtimadhu Powder with the help of modern and highly advanced technologies. It is one of India’s leading and most trusted brands to buy Yashtimadhu Powder online. A team of experts, with decades of experience in Ayurveda, creates these herbs in the facility which has ISO, GMP, and Halal certifications. Herbal Hills has created a novel concept of herbal extract which are concentrates derived from the herbs. Hence, it gives speedy, complete and effective results. For more information, you check our Blogs.